The family members of Sabikh Sheikh, who was killed in a mass shooting at a Texas high school in May, have filed a lawsuit against teenage suspect’s parents. The petition states that the parents, Antonios Pagourtzis and Rose Marie Kosmetatos, know about the mental health issues of their son. The parents were negligent for allowing access to a shotgun and a revolver to him. They even failed to respond to signs that their son posed risk to others. 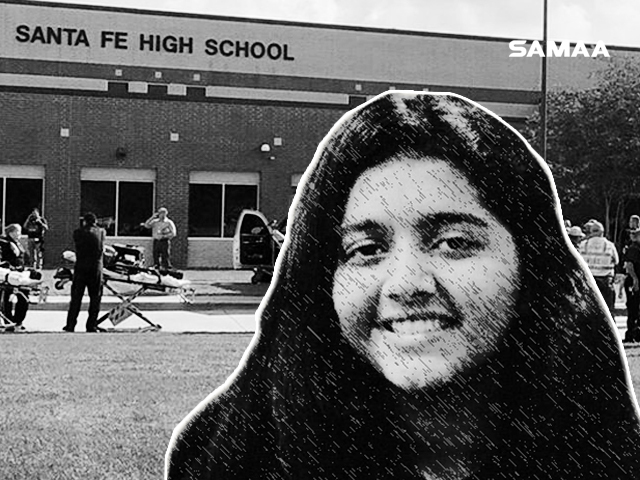 Sheikh, an exchange student at the Santa Fe High School in Texas, was killed along with nine others after a heavily armed student opened fire on his classmates on May 18. The shooter was identified as Dimitrios Pagourtzis. He confessed his crime during a hearing of the case and filed a bail application, which was rejected. According to her father, Aziz Sheikh, Sabika was “the lifeline of our family”. The 17-year-old was the eldest of three siblings from a middle-class Karachi family. Aziz said that Sabika was a “brilliant student” and wanted to join the Pakistani foreign service. The family had plans to spend the summer vacations visiting relatives across Pakistan as Sabika was due to return to Karachi on June 9.